Drought- and stress-tolerant crops will be one of the most significant factors to drive future agricultural productivity growth, by maintaining yields under suboptimal conditions, expanding production into marginal lands, and encouraging adoption of other complementary yield-enhancing technologies. Historically, genetic innovation has not concentrated as much on stabilizing yields as it has on increasing mean yields under optimal conditions. As a result, the market adoption of stress-tolerant varieties, and by extension, decisions about the research and development (R&D) and commercial release of such crops may be less informed by prevailing experience. 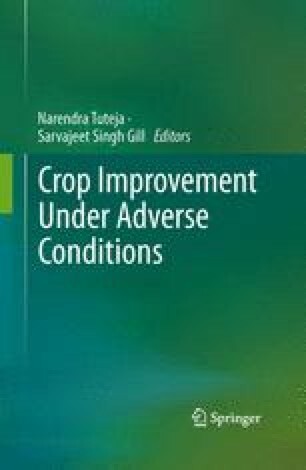 To aid scientists and decision-makers, this chapter provides a brief characterization of the main institutional and economic contours of the crop genetics R&D and commercialization processes, including the selection dynamics of the R&D pipeline, relative roles of public- and private-sector institutions, and decision-making under uncertainty, including technological, intellectual property, regulatory, and market uncertainty. Factors affecting adoption of yield-enhancing technologies by farmers are explored, including (a) complementary technologies, (b) competing technologies, (c) appeal to first-time users, (d) distribution and timing of benefits to users, and (e) social perceptions of the technology. An empirical ‘first look’ at the stress tolerance R&D pipeline is constructed from four datasets covering different phases of R&D: (a) research articles, (b) patents, (c) field trials, and (d) regulatory submissions. The analysis reveals rapid growth in the early stages, but sparse and uneven development across countries closer to market. Research was supported, in part, by NIH grant R01HG004041 (Graff). Zilberman is a member of the Giannini Foundation of Agricultural Economics.